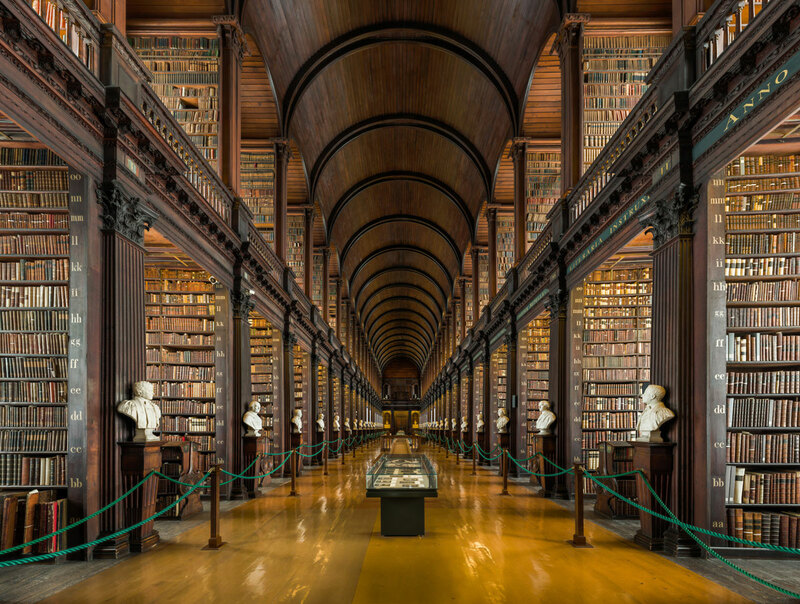 Seen here is the famous ‘long room‘, the main chamber of the Old Library at Trinity College in Dublin, Ireland. At nearly 65 meters in length (213 ft), it is filled with over 200,000 of the library’s oldest books. Built between 1712 and 1732, marble busts line the long room, a collection that began in 1743 when 14 busts were commissioned from sculptor Peter Scheemakers. The busts are of the great philosophers and writers of the western world and also of people connected with Trinity College.